The Shepherds were among the poorest and out casted people in the first century, but God choose them to announce the birth of Christ by a visit from an Angel. 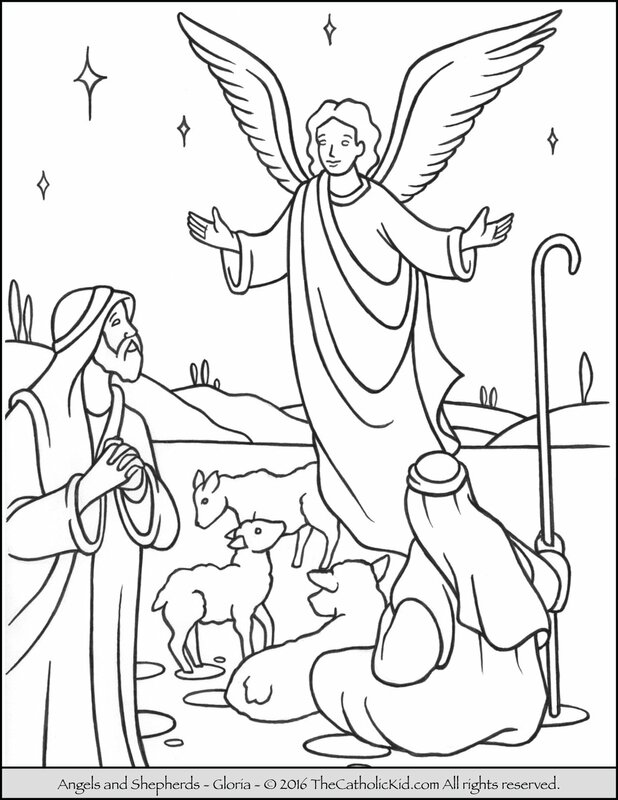 While coloring this page, read the Gospel of Luke 2:9-15 to the children. Make sure to point out that we sing the Gloria during mass and ask them how this relates to how Jesus comes to us in the Blessed Sacrament.